In the aftermath of the mass shooting at the Las Vegas country music festival, event security professionals — many with years of experience thwarting bad actors in bustling crowds — are characterizing the ambush in darkly exceptional, almost fatalistic terms. But they are also reckoning with ever-changing threats in their field after the aerial assaults that killed at least 59 people and injured more than 520 on Sunday. 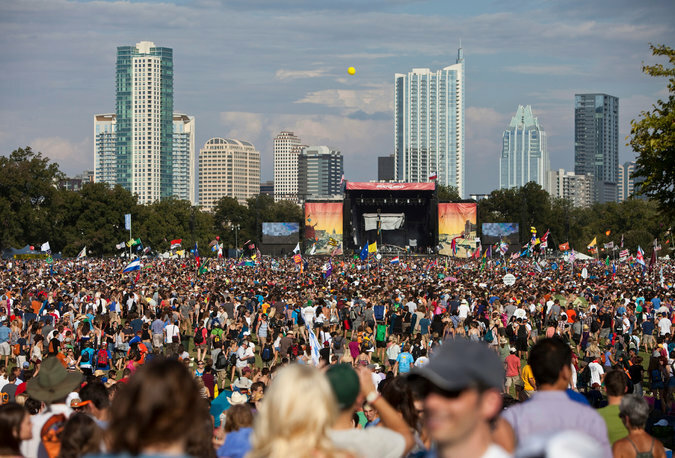 The specter of calamity is especially worrisome for open-air events in urban environments — including the Austin City Limits music festival, which begins Friday in a Texas park and is now undergoing renewed security assessments. Ever since the Sept. 11 attacks, standard security protocol at concerts, festivals and other large entertainment events has become increasingly sophisticated, mirroring the mainstream adoption of previously unheard-of safety precautions at airports around the country. Music gatherings — long bastions of ephemeral intimacy and relaxed inhibitions — have become the site of bomb-sniffing dogs, body scanners and high-definition closed circuit cameras, particularly in the wake of recent large-scale attacks on concerts including the Bataclan rock club in Paris and the Manchester Arena. But even with the gradual ratcheting up of protections, a new wave of mass casualty events has highlighted the ways determined attackers can wreak havoc by shifting their focus to the areas immediately surrounding venues. In Las Vegas, the gunman, Stephen Paddock, executed his killing spree from a towering window at the Mandalay Bay Resort and Casino — around 400 yards away from the festival site — well outside the usual security perimeter of pat-downs and metal detectors that is created for such events. 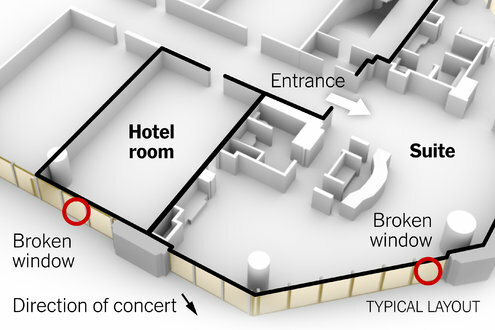 He slipped the hotel’s own security apparatus, and chose an open-air target that is by definition vulnerable from a high elevation. Las Vegas Village, the site of Route 91 Harvest Festival, is owned by the same company — MGM Resorts International — as the hotel where Mr. Paddock opened fire. It is likely that there was at least some preplanning between the two facilities before the festival took place. (MGM has not commented.) But even if Mandalay Bay were on high alert last weekend, snaring Mr. Paddock would most likely have required a level of screening that far exceeds current practices. For the people behind Austin City Limits, which will bring 75,000 music fans to Zilker Park in Austin, Tex., this weekend, the question of how to keep people safe is now freighted with even more pressing urgency than usual. Security professionals and some event promoters have called for expanding the perimeter around so-called soft targets, and for increased coordination between venues and neighboring businesses. The company also announced that it would offer refunds to any fans concerned about safety. The Austin police chief, Brian Manley, said on Monday: “It’s not that it’s a threat that we are not aware of, but whenever you have an incident occur you always have to be concerned about copycats — someone that looks at this as an opportunity.” In a news conference, he added that officers had already visited condos on the park’s north side that partly overlook the festival grounds. But he ended the news conference with an unvarnished caveat. “We live in a world now where you cannot protect against every single threat,” he said.